Mahon cheese is a delicious product that only in the Balearic islands acquires that mild taste, slightly salty and acid, a milky flavor reminiscent of butter, which can only be achieved because of the atmosphere and geography of Menorca and its unique way of manufacture, which has been transmitted from generation to generation for centuries. 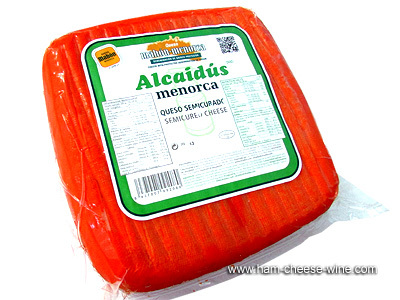 Thus, the "formatjat" of Mahon cheese, that is, its elaboration in the "llocs" or farms where it takes place, yields this jewel of the Spanish cuisine. Mahon cheese is and has been a flagship product of Menorca. It is made on the island with cow milk curd at low temperature, and is salted and cured by immersion according to the custom of the island. It is made according to ancestral traditions, and is one of the pillars where a part of the history and culinary tradition of Menorca rests. Mahon cheese is made from cow's milk. 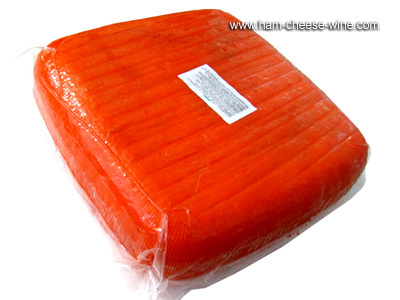 It is an uncooked, pressed paste cheese, with a shape of a parallelepiped with rounded edges. The process for making a cheese has been constant for years all over Menorca, where they have followed very ancient practices. It is an ancient set of techniques that has been passed from father to son, the application of which defines and leads to an authentic cheese. Menorca’s milk-cows are mainly Friesian (Holstein) and other Menorca breed. In general, the cheese has a firm texture, which undergoes continuous evolution according to the degree of maturity reached. The color varies from milky white to dark yellow. A general feature is the presence of the so called eyes of variable size, never larger than the size of a pea. The semi cured Mahon cheese is soft and with remarkable elasticity, dough will be somewhat fatty, with an easy and brilliant cut. 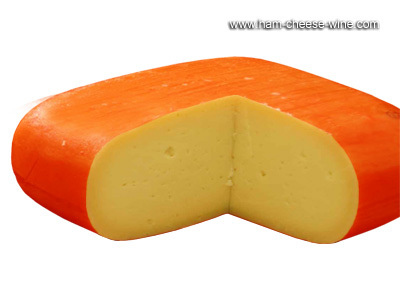 The taste is mild, slightly salty and acid, with well-developed milky aromas with some evocation to dairy butter and dried fruits or toasted nuts (hazelnuts). Similarly, the intensity of the flavor goes from a memory of fresh curd memory to an intense, slightly salty, spicy and quirky flavor, characteristic of this cheese. Mahon cheese is a Designation of Origin protected by the Designation of Origin Regulatory Council, and is made exclusively on the island of Menorca in Spain, according to tradition and the rules contained in the regulations of the DOP. 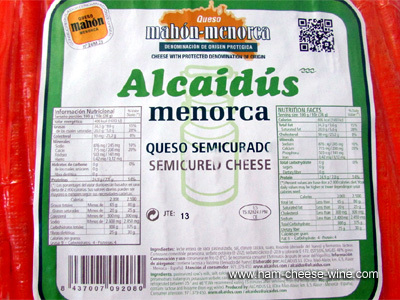 In 1985 it was finally awarded the denomination of origin “Mahon Cheese” and later, in 1998, the word “Menorca” was added to the protected cheese, which was renamed Mahon-Menorca.